Sharp today announced its entry into the Indian cellphone market by announcing four phones. Well, the phones are not available yet but we are told that they will be before the end of the year. The wares are priced between Rs 6,499 and Rs 17,999 and all of them are multimedia phones. On the extreme left is ‘Alice’, an all touchscreen social networking phone, which we believe would be on the lines of the Samsung Corby and virtually every touchscreen feature phone priced under Rs 10,000. This one carries a tag of Rs 8,499. Next up is Blink, a clamshell with dual-SIM and dual standby. It is priced at Rs 6,499. The really cool one in the lot also has the coolest name – Cyborg. 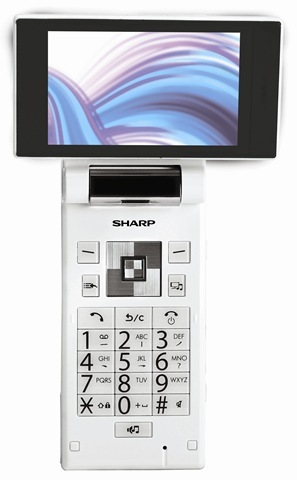 It is what Sharp calls the ‘Cycloid’ form factor, a clamshell with a display that swivels around. Priced at Rs 16,999, it has a 3.2 MP camera. 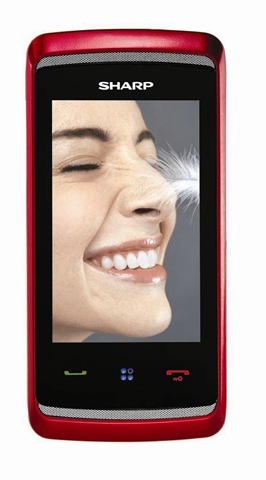 And finally comes Tango, a 3G clamshell phone with a 5.0 MP camera, a 2.9-inch display and a gravity sensor. The Tango will be available at Rs 17,999. Yes, we have not seen the phones but to be honest, we believe that these phones are priced really high and lack a killer feature. If you want an idea of what the Cyborg and Tango are like, check out the Chinese equivalents, SH9110C and SH802UC.Don’t look to the Japanese originals unless you want to be really disappointed.